“Marbella Marbella Adelante” – with Artist Mugge Fischer | Marbella Marbella – Adelante! Mugge Fischer Marbella’s artist extraordinaire! 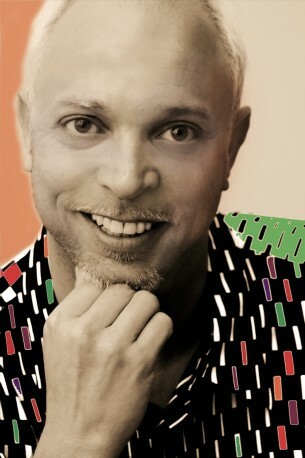 The flamboyant and energetic artist Mugge Fischer, is well known as an active worker for the Concordia Aids Charity whose President is the Princess Marie-Louise of Prussia, as well as being a keen supporter of Dario Poli’s initiative to positively promote Marbella and the Costa del Sol. He was born in the town of Aalborg, Denmark, and moved to the Costa del Sol in 2001, where with his hard work, intelligence and personality, he has made quite a considerable impact and positive contribution to the area. He is a resident of Marbella, who with his outgoing charm, personality and positive attitudes, has quickly become a popular figure in the Marbella social scene, appearing in many local publications moving easily in all social circles and welcomed wherever he is. He loves Spain for the sun, the beaches, the weather, and enjoys speaking Spanish in which he is fluent and the life here generally. As an artist, he is dedicated to painting, graphic design, dance, theatre, events etc, His works are recognised by the use of strong colours, and an untraditional use and mixture of old and new techniques. Besides that, he has a fine sensibility in adapting special orders to the surroundings to which they are designated. His great passion is to paint portraits and are quite special and very highly appraised, but he is constantly searching for new possibilities and ideas. During the last 7 years he has been doing works of art (portraits, modern art etc.) for clients from e.g: Portugal, Spain, Norway, Denmark and the United States. 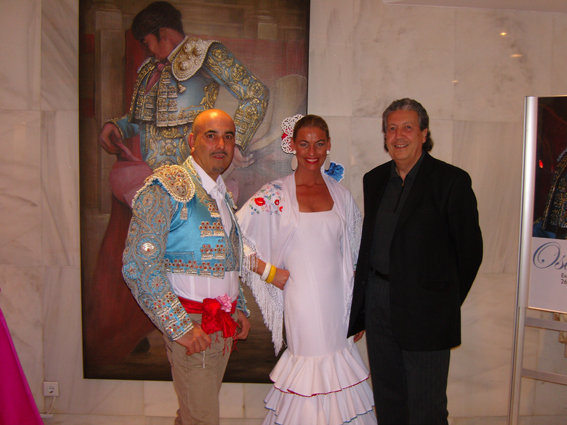 In April 2009 in support of Dario Poli’s campaign for Marbella, Mugge helped organize the “Una Noche Para Marbella” event at the Da Bruno Sul Mare restaurant, which coincided with the official presentation of the song specially written for the occasion, “Marbella, Marbella”, Dario Poli’s campaign song sung by Yanela Brooks. Mugge compared the evening event, which had over 350 invited distinguished guests including the Marbella Town Hall, heads of industry and Royalty in attendance, and during his opening speech he described the campaign, as “presenting a concept of image and quality for our city and the Costa del Sol. We all form part of the image and future of Marbella”. The event was highly covered by the press who turned up to support the campaign for Marbella and the song. 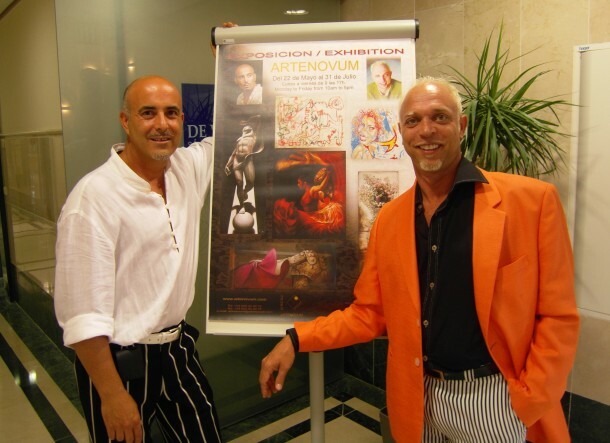 The team at Marbella Marbella Adelante, wish this talented artist and popular bon viveur, the very best in all that he does now and into the future.